Send secure and private emails to anyone. Share private files safely over email. Your emails can’t be read by systems. Know when emails and attachments are read. Set emails to self-destruct over time. Take back emails after being sent. 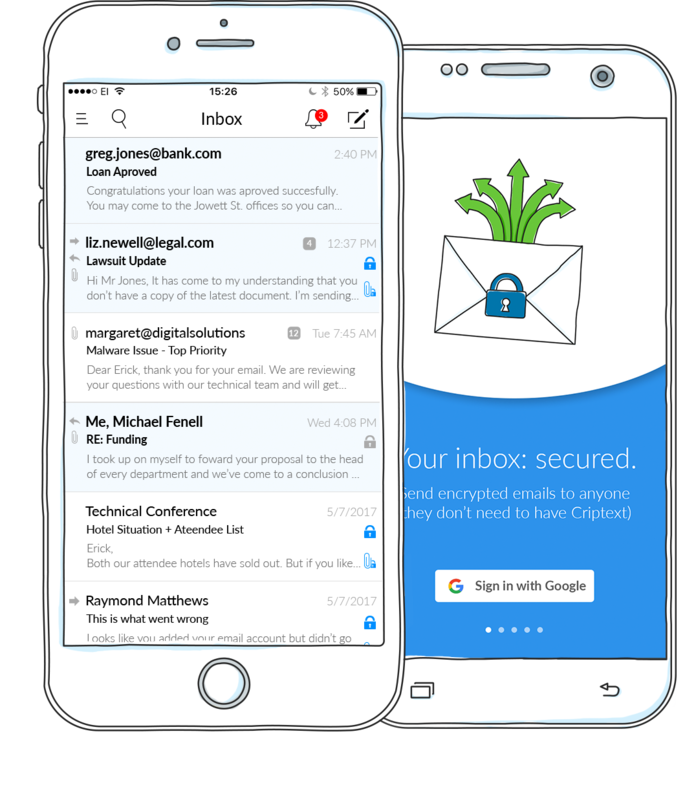 Criptext is also available on iPhone and Android as an easy to use email app that covers all your secure communication needs. Download it today and take advantage of all the great security and control features that Criptext has to offer on the go. Forbes Centroamérica chooses Criptext as one of the most influential companies in Latin America! It allows you to scrub the content of any Gmail message any time after you’ve sent it. Users can also send encrypted emails to anyone, regardless of whether the recipient is using Criptext. 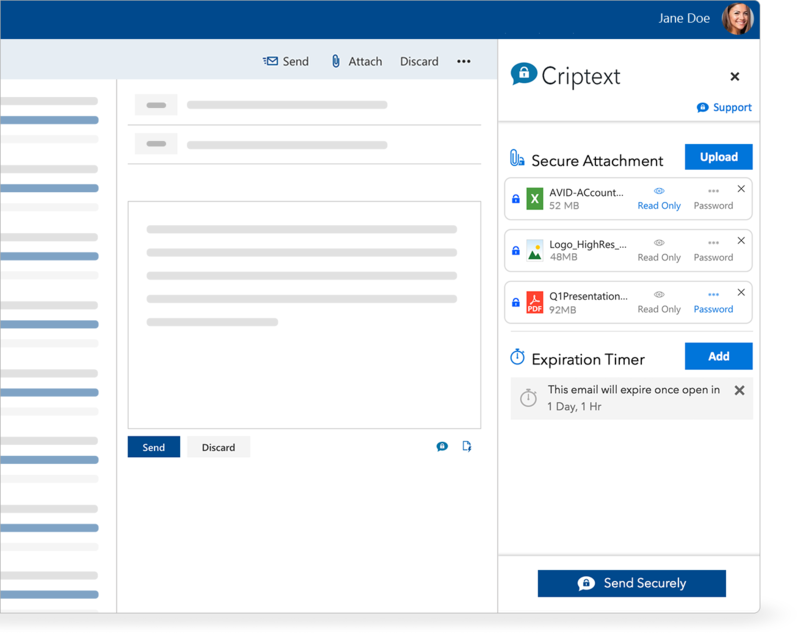 Criptext system makes emails easily retrievable, even after the recipient has read it. What if the person I email doesn't have Criptext? The people you email don’t need to have Criptext. They can read your secure content without having to install anything or click on external links. What happens if someone forwards an email that I unsent or expired? Put simply they won’t be able to read anything. Once you unsend/expire a secure email or attachment no one will be able to read them anymore. Can Google or Microsoft read Criptext emails? No, Criptext emails are private. Beyond being encrypted, Criptext emails are completely private to bots, filter and email scanning systems.